AMD demoed its 64-core/128 thread dual socket Naples server platform against a comparable Intel server at its recent Tech Day but timed the announcement to coincide with the OCP (Open Compute Project) Summit this week. AMD presented a narrow workload that doesn't do much to reveal Naples' broader performance trend, although it does compare favorably against the Intel comparison platform. More importantly, AMD also revealed more details on the architecture and design of its forthcoming server SoCs. In the past, AMD's desktop PC market penetration has lagged woefully behind Intel's, but a quick glance at its data center share highlights an even larger disparity between the two companies. Intel currently commands ~99% of data center server sockets, and its dominance in the high-margin segment has been a key to its success on many fronts. Intel is leveraging its commanding Xeon lead as a springboard to attack other lucrative segments, such as networking with Omni-Path/silicon photonics and memory with 3D XPoint, but it leverages locked-down proprietary interconnects that have raised the ire of the broader industry. AMD, by contrast, leverages open protocols where it can and participates in developmental efforts on several new open interconnects, such as CCIX, Gen-Z, and OpenCAPI, so for the broader industry, a competitive AMD represents more than just a cost advantage and second source. Let's dive in. AMD's Naples brings Southbridge functionality on-die, so there is no need for an I/O hub or chipset. AMD claimed the integrated connectivity will increase performance and reduce cost. For instance, a dual-socket server can support up to 24 NVMe drives without additional hardware, and Naples features integrated Ethernet capabilities, although AMD did not specify performance metrics. The Zen microarchitecture infuses the power of SMT into the Naples platform, and the combination of 32 physical cores and 64 threads provides AMD with 45% more cores than Intel's flagship E5-2699 v4, which features 22 cores. A single Naples SoC provides 128 PCIe 3.0 lanes compared to Intel's 40, which is another impressive improvement, though Naples loses some of that advantage in dual-socket servers. The generous PCIe lane allocation allows for six x16 connections, which AMD noted is particularly useful for machine learning applications that leverage GPUs. Naples features eight DDR4 memory channels per socket without the use of a memory buffer (such as Intel's Jordan Creek Scalable Memory Buffers), whereas Intel is limited to four channels. Naples' bulky memory provisioning supports up to 170.76 GB/s of throughput and a maximum capacity of 2.048TB of memory per processor, whereas Intel's E5-2699A v4 plateaus at 78.6 GB/s of throughput and 1.54TB of memory per processor. AMD will release several SKUs with varying core counts and frequencies, but it isn't revealing clock speeds, TDP, or pricing at this time. The company noted that it will provide more information on the product stack when Naples comes to market (obviously). AMD will support a broad range of out-of-band management interfaces, such as IPMI, and although OS compatibility remains undefined, the company is working with a broad range of operating system and hypervisor vendors. Expanding to two sockets yields an increase to 16 memory channels (32 DIMMs) that support up to 4TB of memory. AMD's Infinity Fabric connects the processors and communicates across the PCIe interface, so it consumes 64 PCIe lanes between the two Naples SoCs in a dual-socket configuration. The two-socket configuration provides 128 PCIe lanes to the host system, which still outweighs Intel's 80 lanes in a dual-socket server. AMD hasn't specified Infinity Fabric's bandwidth capabilities, among many other details. The Infinity Fabric lane requirements prevent AMD from employing Naples in quad-socket configurations, which would consume all of the available PCIe lanes for inter-socket communication. It isn't clear if AMD plans to bring a quad-socket competitor to market. AMD hasn't released detailed information on its Infinity Fabric, though we do know that it's an updated version of the HyperTransport protocol. AMD did state that it has improved the protocol's QoS, security characteristics, and other key metrics, which helps with VM provisioning and management. AMD also claimed that the Infinity Fabric provides near-linear scaling up to 64 cores, but as the footnote indicates, the company hasn't validated scaling with working silicon. AMD configured two dual-socket test systems for its live demonstration, and the Naples "Speedway" reference server design enjoys a pronounced advantage in core count, memory capacity, memory speed, and PCIe lanes compared to the Broadwell server. AMD was light on the details of its custom seismic workload, and although we do know that it employs AVX instructions, it is impossible to compare the results to standardized workloads or provide a detailed analysis of the tests. AMD indicated that the workload is a computationally intensive analysis involving iterations of 3D wave equations that stresses the CPU, memory, and I/O subsystem. We also weren't provided with more detailed system specifications or settings, so take the results with a grain of salt. The first workload consisted of 10 iterations of a 1 billion sample grid. AMD restricted its core count and memory speed to match the Intel system, yet still managed to complete the workload in roughly half the time. For the second test, AMD conducted the same test but brought all 64 cores to bear and bumped its memory speed up to 2,400MHz while the Intel system remained at 1,866MHz. Once again, AMD's carefully selected workload completed faster on the Naples system, yielding a 2.5X advantage. It's impossible to derive any useful scalability comparisons between the workload completion time of the 44-core Naples configuration and the 64-core native configuration due to a lack of information on the workload. Finally, AMD provided a demo specifically designed to highlight its memory capacity advantage. The company increased the dataset to 10 iterations of a 4 billion sample grid, which simply couldn't run on the Intel system due to its memory capacity disadvantage. AMD's Naples design is impressive, and although the benchmarks are obviously very limited and designed to cast Naples in a favorable light, our initial Ryzen tests indicate the Zen architecture is well-optimized for HPC workloads. It will be interesting to see the actual Naples silicon in action in a wide range of industry-standard workloads. Frankly, AMD faces an uphill battle against Intel in the data center. Intel has the advantage of a wide range of server SKUs and a burgeoning portfolio of new technologies at its disposal. Intel is bringing FPGAs on-package with its Xeons, and we expect them to come on-die in the future, which offers a tremendous amount of flexibility. Other emerging technologies, such as silicon photonics and 3D XPoint, are also major differentiators. Perhaps Intel's greatest advantage in the data center is its long track record of reliable platforms. Data center operators tend to shy away from new architectures until they have proven their trustworthiness in the field, so we may see a slow adoption rate as AMD deploys its solutions. Intel also benefits from a wide range of applications that are almost solely optimized for its architecture, so AMD will have to expend a considerable amount of effort on ecosystem enablement. AMD's biggest advantage will likely come in the form of its pricing structure. Intel's Xeon portfolio is prohibitively expensive, particularly on the high-end, so any competition is welcome. Unfortunately, most of the Naples story is yet to be told, so we will have to wait until launch in Q2 2017 for more information. Any data on CPU frequency and TDP? Xeon E5-2699A v4 is a 145W and runs at 2.4 Ghz. 2x the performance with same number of cores sugests that Naples is running at higher frequencies. The datacenter I just worked in had 5400 servers in it. Just over half were running dual and quad AMD 16 core chips. Old tech, but nice to see AMD in the farm. Answering to myself, just realized the 2x could also be due to the benchmark being memory bound. Naples has 2x the chanels, and it gets to 2.5x the performance when memory freq is increased. Cores seem to be relatively irrelevant in this particular benchmark. As glad as I am to see a decent AMD desktop chip, it is pretty clear AMD's real priority is servers. Those TDP numbers everyone glossed over in the Ryzen reviews are more important to AMD than I think most people gave credit to. Conservatism of data center managers might well nullify any advantage that amd has. Like it did in the p4/ opteron days, when AMD did have a brief lead. When AMD had their lead, massive cloud companies were not around. Google, Microsoft, IBM, Amazon are always adding servers to their cloud systems. I am sure there will be buyers. Power consumption alone will be the reason data centers dump Intel. An under-clocked Ryzen at 30w scoring 850 in cinebench, that is less power than Intel Atom processors under load at 33w. That will be millions of dollars in power savings for companies with large data centers. Intel is scared to death that people don't figure this out. AMD Desktop Ryzen cpu is beating their low power Atom processors. According to this, Naples is just 4x desktop Ryzen dies, in a single package. This suggests there might be only 64-96 lanes of true PCIe bandwidth to the CPU cores, themselves. It'd be interesting to see this thing go head-to-head with a KNL Xeon Phi. Answering to myself, just realized the 2x could also be due to the benchmark being memory bound. Naples has 2x the chanels, and it gets to 2.5x the performance when memory freq is increased. 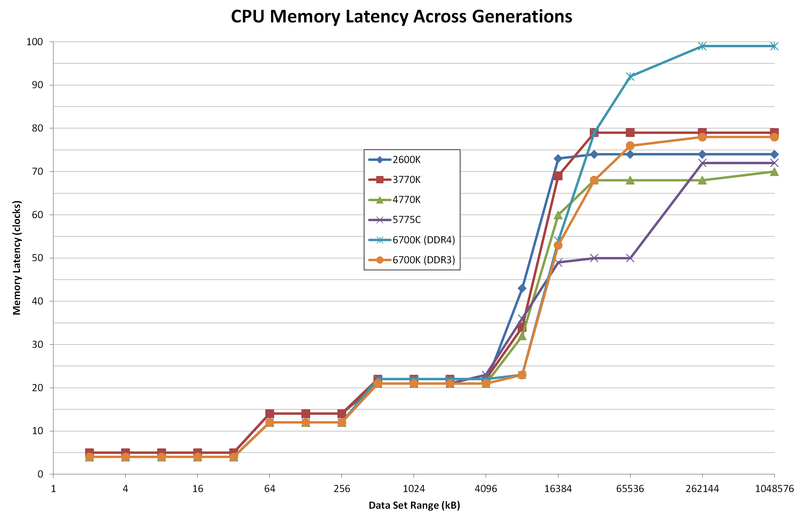 Cores seem to be relatively irrelevant in this particular benchmark. Doubling memory channels equates to a less than 20% performance advantage even in the most biased applications. AMD would have had to write their own benchmark specifically to get the figures you claim. Also with AMD still not having 3200 memory running on (already released) Ryzen at the time of this article what makes you believe that they would have it running on Naples multisocket engineering samples that they don't even have finalized chips on... especially when the competition is with top of the range 50+ core multisocket Intel hardware which is so much more difficult to get fast memory stable on than a comparitively simple i7. According to this, Naples is just 4x desktop Ryzen dies, in a single package. This suggests there might be only 64-96 lanes of true PCIe bandwidth to the CPU cores, themselves. http://www.anandtech.com/show/11183/amd-prepares-32-core-naples-cpus-for-1p-and-2p-servers-coming-in-q2 It'd be interesting to see this thing go head-to-head with a KNL Xeon Phi. I would call false on that. PCI lanes are not that hard to test for and we would quite easily see if they lied on that point when the GPU cards start dropping to x8 speeds over 96 lanes. Without a major press release before launch (which would be major because of the all the bad press it would generate in combination with the precarious time it is right now for investors with the rating downgrade) AMD stands to be sued by business purchasers that expected 128 PCI lanes and got 96. With that kind of press release, AMD is still at threat of having major financial issues. What else could they have lied about is the next obvious question and the recalls will be much stronger than with the competition because they have a new product and a bad track record going back nearly 10 years (performance wise). Look at the fallout with GTX 970s having slower access to one side of the RAM and you'll see. I RMA'd mine because I had it mated to a 4K display. You just don't do that kind of stuff to server buyers that are purchasing trays full of CPUs at $2000 a unit. You can get sued for millions in losses, lose huge business customers, and then get sued for millions more in damages because your lack of PCI lanes caused Google servers to run slowly and had to be worked around by a God level $15000 an hour tech team and revision of the load balancing code for the entire Google system. Big firms can't wait to redeploy and software solutions to hardware problems are not only expensive, but clearly not the fault of the company that makes them. In short, FUD is being spread. Doubling memory channels equates to a less than 20% performance advantage even in the most biased applications. You're thinking of desktop apps - not server. And you're thinking of single-digit core counts - not 32 per package. They wouldn't have put so many channels, if they didn't have good reason to think they'd need 'em. Just look at Ryzen and tell me AMD is adding more memory than they need! I would call false on that. Based on what? Anandtech's analysis is a lot more thorough than yours. While not specifically mentioned in the announcement today, we do know that Naples is not a single monolithic die on the order of 500mm2 or up. Naples uses four of AMD’s Zeppelin dies (the Ryzen dies) in a single package. With each Zeppelin die coming in at 195.2mm2, if it were a monolithic die, that means a total of 780mm2 of silicon, and around 19.2 billion transistors – which is far bigger than anything Global Foundries has ever produced, let alone tried at 14nm. During our interview with Dr. Su, we postulated that multi-die packages would be the way forward on future process nodes given the difficulty of creating these large imposing dies, and the response from Dr. Su indicated that this was a prominent direction to go in. Look at the fallout with GTX 970s having slower access to one side of the RAM and you'll see. I RMA'd mine because I had it mated to a 4K display. That was a silly thing to do. Nobody thought it was good at 4k, and I'm sure the cut down memory controller made almost no difference in that regard. You just don't do that kind of stuff to server buyers that are purchasing trays full of CPUs at $2000 a unit. The architects of big systems using these chips, who work for the firms that you claim would sue them, are sophisticated enough to read more than just press releases and surely understand enough about what they're getting to know where any bottlenecks are. Since when does Anandtech spread FUD? What do you have on the actual merits of the claim? Sounds to me like you didn't even read the article. Moreover, if you're going around labeling things as FUD, then you should disclose any material interest you have in the matter. That may be true for some desktop apps (usually constrained by single thread performance). However, if your application is significantly bottle-necked by memory bandwidth, doubling the number of channel may double performance. Such applications exists in the HPC domain, and the seismic analysis app used by AMD is a good example. Also with AMD still not having 3200 memory running on (already released) Ryzen at the time of this article what makes you believe that they would have it running on Naples multisocket engineering samples that they don't even have finalized chips on... especially when the competition is with top of the range 50+ core multisocket Intel hardware which is so much more difficult to get fast memory stable on than a comparitively simple i7. Who said anything of 3200? The article says explicitly: "For the second test, AMD conducted the same test but brought all 64 cores to bear and bumped its memory speed up to 2,400MHz while the Intel system remained at 1,866MHz. Once again, AMD's carefully selected workload completed faster on the Naples system, yielding a 2.5X advantage." 1866 -> 2400 is a 28,6% improvement in memory speed, so technically a 25% (2x to 2.5x) improvement on overall performance is perfectly possible for a memory bound application. Fair enough. I have never even heard of seismic workloads before. Thanks for the knowledge. I would call false on the AMD only having 64 to 96 lanes of PCI-E, not on it being a multi chip package. What am I, an AMD developer in disguise? Cmon. It was the difference between 60 FPS GTA5 and 35 FPS GTA5 and that goes for every other game that used that last 512MB. I suppose if I was you this is where I'd tell you you're thinking of server apps and not desktop. Firstly lets address the litigation statement. Maybe you've heard of false advertising before. Maybe you've heard it's illegal before. Maybe, just maybe it doesn't matter who sues them... it matters that they can be sued. "In dual processor mode, and thus a system with 64 cores and 128 threads, each processor will use 64 of its PCIe lanes as a communication bus between the processors as part of AMD’s Infinity Fabric. The Infinity Fabric uses a custom protocol over these lanes, but bandwidth is designed to be on the order of PCIe. As each core uses 64 PCIe lanes to talk to the other, this allows each of the CPUs to give 64 lanes to the rest of the system, totaling 128 PCIe 3.0 again"
Sorry but that is speculative FUD by definition. Upvoted aldaia for being polite whilst educational. Bravo. FYI the comment was based on 3200mhz RAM being easier to make work with a single chip than 2400mhz over dual socket working with 8 separate chips. That wasn't me. I didn't cite any examples. You can find them, if you care to look. I would call false on the AMD only having 64 to 96 lanes of PCI-E, not on it being a multi chip package. Ah, but that's not what I said. I don't dispute their claims of what's on the outside of their package, but either Ryzen doesn't expose all of Zeppelin's PCIe lanes, or there's a bottleneck inside the package. I was just highlighting that fact. Do the math. It doesn't add up. What am I, an AMD developer in disguise? Cmon. Obviously not. Some people on here do trade stocks in these companies. That's more what I had in mind. It was the difference between 60 FPS GTA5 and 35 FPS GTA5 and that goes for every other game that used that last 512MB. I was disputing the idea that it was a good 4k card, or that the memory controller crippling would've really changed that. If you care about gaming and framerates, then why buy a 4k monitor and pair it with a 970? Either get a lower-res monitor, a faster card, or accept that your framerates will suffer. To have a hope of decent 4k gaming, you should've had at least a 980 Ti. Otherwise, it tells me you weren't really serious about 4k gaming. BTW, I did not state that their crippled memory controller never makes a difference. Just that it's not the only thing standing in the way of the 970 being a good 4k card. I suppose if I was you this is where I'd tell you you're thinking of server apps and not desktop. You're trying to get your likes now so you want to take on a condescending tone. I understand that but look up and you will realize the FUD is FUD. I don't even know what the heck you're on about. I'm not here for mind games, trolling, etc. I like tech. I like to read about it, think about it, and exchange insights. I'm not really interested in arguing with someone who has a strong partisan opinion or who cares more about winning arguments than learning stuff. If you want to know why I said that about their PCIe bandwidth, I can explain it. But not if you're going to be so snarky and defensive. That was a thank you fyi. Take it how you want. I don't care to look because it's not my field and not worth my time. You seem very competitive. I would then refer you to my original statement where I said that increasing memory channels (identical use case in this test) offers negligible increases in performance. You responded with saying that that did not apply in massively multicore chips. This is the argument that you are correct with Ryzen not exposing Zeppelins lanes, right? I would also refer you to original Ryzen documentation speaking on CCX dualcore lith having accelerated access to each other but then a slower access to cores in other CCX via L3 cache. I expect Naples to address this by providing lower latency faster Infinity Fabric and cache as the main feature over Ryzen with respect to upgrades. Looking at the benches above, the main binning sacrifice I see being made in Ryzen are there. Access to L3 from CCX is mostly balanced to exact percentages (as calculated by the rate at which access times are increased to RAM exactly at 8MB access as despite there potentially being plenty more L3 available on other CCX cores). Load balancing logic for this is almost certainly choosing RAM over other CCX core's L3 to store it's own data, but even if it isn't sometimes Zep/Naples main lith differences are going to be in the L3 and interconnects because of their provisioning for so many more cores, so it's only logical that the binning lith isn't there yet (at the release of Ryzen) hence the engineering sample's benchmarks needed faster RAM latency to simulate. The Infinity Fabric is essentially a set of tubes connecting everything to everything else, including CCX nodes to each other, to PCIe lanes, everything. The better the IMC, the faster the Infinity Fabric can run if supported by proper ram. This means a good IMC and good ram are necessary if you want to use 32 PCIe 3.0 Lanes, as each lane takes roughly .97GB/s. If we reverse the thinking, PCIe lanes (and other uncore devices) in use, the less likely the Infinity Fabric is to bottleneck. Zepplelin is an APU. Greenland supports HBM so is going to need direct connection to the IMC and conventional link to HT/IF, but has 4 GMI links which equate to 7 PCIe 3.0 lanes of performance roughly going to the . It's old info that was improved upon before even Ryzen, and in all likelihood could be the sacrifice we see in the future APU rollout but that's definitely not Naples. In fact that's probably not even server. That's where I started feeling FUD. I expect we're at least two generations from bottlenecking the Infinity Fabric in real world scenarios outside of the current CCX <-> CCX communications. Right now we hardly have GPUs that can fill 4x 3.0 PCIe lanes, and CCX <-> CCX bandwidth issues are mostly artificial due to errant windows scheduling. It is a rather interesting concept. ..... The issues with SMT reflect this shared bandwidth - windows scheduler decides it needs to move one thread from CCX1 to CCX2, and for a fraction of a second, saturates a substantial amount of the bandwidth available to everything else. That's normally not a problem for pretty much anything else other than gaming, but in gaming where your GPU regularly needs at least 4GB/s of bandwidth (4x3.0 PCIe lanes) it'll cause some hiccups. Many tasks will need that much bandwidth, but no in the constant manner that gaming does; GPU mining for example, will use that much bandwidth for less than a second, then sit and crunch numbers with the occasional update that takes <1GB/s. The same is true for CPU usage - keep the threads within the CCX and the Infinity Fabric has plenty of space to talk to everything. Regularly churn cache dumps back and forth and you start to get some slow down. It's very interesting that it scales with ram clock. Good single rank DDR4 just got a whole lot more important. This is also why 1866mhz to 3200mhz ram is a big deal here. Intel's Ring Bus is always at max speed regardless of RAM performance. AMD's solution clocks up and down with RAM speed. imo that will probably allow us more overclocking headroom by reducing IMC speeds on both sides of the chip on the gaming side when needed (remember the overclocking hits we took when Intel moved the IMC on-chip with first i7 - this sidesteps the problem) and the gearing of Ryzen was toward that with the benefit of easier binning meaning the product gets out sooner. Literally speaking, that means that the update for 3200mhz Ryzen RAM is also a big boost in interconnect speeds and the improvements to make that possible HAVE to happen in microcode. It would be on Ryzen now if it was done. It will be on Naples but I guess that's gonna have to come after these engineering samples. I would finally say that it's very unlikely that Zeppelin is actually going to perform anything like Naples as Zeppelin is an APU, which assuming it took to server benchmarks would be crossfired on 2 socket servers. Whilst a perhaps revolutionary idea for marketing (extra two GPUs close on each CPU in a 6xCF config with load balancing + HBM extending the infinity fabric across the motherboard to distribute threads closer or further from CPU/4GPUs depending on needs. Would be a monster.) the logical leap simply isn't in AMD's reach right now. Zen is all about balance after all so I see it coming much later. I was disputing the idea that it was a good 4k card, or that the memory controller crippling would've really changed that. If you care about gaming and framerates, then why buy a 4k monitor and pair it with a 970? Either get a lower-res monitor, a faster card, or accept that your framerates will suffer. To have a hope of decent 4k gaming, you should've had at least a 980 Ti. Otherwise, it tells me you weren't really serious about 4k gaming. BTW, I did not state that their crippled memory controller never makes a difference. Just that it's not the only thing standing in the way of the 970 being a good 4k card. Oh do tell... it certainly isn't the shader performance. A small overclock puts it squarely in GTX980 territory. The 980ti wasn't out at the time I bought it and a card broke. DX12 was on the horizon with massive performance increases being shouted from the rooftops and I buy a lot of cards to pass down through systems. Do you hear yourself? I deserve a downvote? You need to calm down because I'm here to share and be shared with just like you. Also look up to see what a crippled memory controller does, then realize that GDDR has latency in the hundreds of clocks. I have substantiated my facts now using logic and/or citations. At the moment, you feared or wore uncertain... then defended your doubts that the bottleneck was in the chip or in Ryzen and I've explained. I also added to that by taking a moment to explain why the RAM speeds are likely different. Then that Zepplin is an APU and thus needs to dedicate more onboard PCI resources and lose die to a GPU (actually I assumed you'd realize that), especially in a crossfire + HBM capable arrangement (and what else is the point of putting APUs in a 2 socket config). The thing we forget here is that the nature of a web over a ring is that you actually have access to MASSIVE bandwidth but with linearly increasing latency (as data has to take longer paths around saturated buses) thus max bandwidth available scales up as more bandwidth is needed by any one core. Every CCX has direct access to the IMC as well so as the clocks increase through the Infinity fabric (as a byproduct of RAM speed increases) it becomes logical for the latency times to shorten and thus more routes between cores to become viable over RAM, especially remembering that in real terms ( as in adjusting for CAS etc increases) RAM latency is on the increase and that will only get worse with DDR5 unless NVRAM shocks us. Oh and your anandtech link qualifies the CCX lanes details. I wasn't sure, because you credited me with something I didn't say. Anyway, it's not competitiveness, but rather the fact that I'm only willing to go so far, in these sorts of debates. In the past, I've spent the time to dig up some good benchmarks that show what I'm claiming, here, so I'm confident they can be found. But I don't have them handy and I don't have the time to find them, right now. So, if you care to educate yourself, you'll search them out yourself. If not, you can dismiss my point and we move on. It's a bit like the reverse of your GTA V benchmark and the 970. What you say is generally true about memory bandwidth, I'll grant you that. But not for some workloads and for very high core counts. In the same way, what I said about the 970's memory controller is generally true, but not in all cases. If a gamer were a huge GTA V fan and had a 4k monitor, then the 970 would be an especially bad choice. Similarly, if someone were assembling a Naples-based server, then they should consider whether it's really a good idea to populate only half of their memory channels. Each die provides two memory channels, which brings us up to eight channels in total. However, each die only has 16 PCIe 3.0 lanes (24 if you want to count PCH/NVMe), meaning that some form of mux/demux, PCIe switch, or accelerated interface is being used. This could be extra silicon on package, given AMD’s approach of a single die variant of its Zen design to this point. Couldn't be much simpler. 4x16 = 64 lanes. 4x24 = 96 lanes. Not 128 lanes. ...unless Zeppelin has more lanes than Ryzen exposed. If you have information on that, do share. Otherwise I'm done. I don't see any sign of malice, in Anandtech's reading of the facts they cite in that article. But call it FUD, if you want. I'm past the point of caring.